I took these pictures just before four this evening. One station guy told me that the low levels of passengers were to be expected and predicted that Tuesday would see a large increase of passengers, as word spread that the entrance was open. I was there at ten o’clock this morning to see the new Walbrook Entrance to Bank station open. There are various features of the design that are excellent. It looks like the entrance has been designed to be able to handle the full capacity of the uprated Waterloo & City Line, running higher capacity new trains with a higher capacity and possibly a higher frequency. The stairs are wide and built to a standard, that will tempt fit people to use them at busy times. They will also be very safe in emergencies. The route from the pedestrianised Walbrook to the gateline is clear and level, so it should handle very large numbers of passengers in safety. It should be noted that those I spoke to, liked the entrance. London and other cities need more entrances to subways and underground railways like this. It must be one of the best in London, ranking alongside these stations on the Jubilee Line. And the new entrances at Bond Street, Kings Cross St. Pancras and Victoria. I am doing a few things to make sure, that I survive a no-deal Brexit, as unscathed as possible. I keep all of my spare cash in Zopa, moving it in and out as required. Effectively for about seven or eight years now, I have used the first peer-to-peer lender as a high-interest, thirty-day access deposit account. It has probably paid around five percent before tax in that time and it has safely ridden the peaks and troughs of governments and financial instability. Today, I calculated how much cash, I need in my current account to see me through to end of the year, and the spare money was tranferred to Zopa. It was a fast painless transaction and now it is available to lend to Zopa’s customers. Warfarin stops me having another stroke. As it only comes from Eastbourne, I suspect supply of this comment drug. But I have enough to last me to until Summer 2019. I test my own INR, which determines the Warfarin dose. Today, I ordered enough test strips to get me through to Summer 2019. Every time, I go walking around London, I take a large bag, that can hold up to eight bottles of my favourite beer from Marks and Spencer. 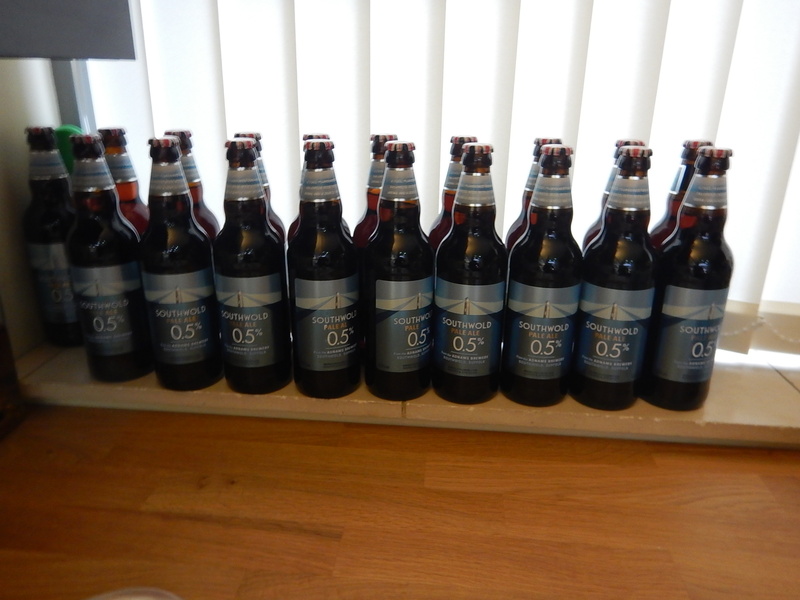 Supplies from Adnams in Suffolk seem good at the present and I usually liberate a few from a boring life on the shelves on every trip. As with other products, I aim to have enough to last me through to Summer 2019, at a rate of three a day. The title of this post, is the same as that of this article on Solar Power Portal. The title shows the way things are going. Although, I doubt, I would use EDF, as they are one of the companies who have ripped us off for a long time. I have said that I will fit a battery in this house to go with the solar panels on my roof. I will also fit an electric car charging point in the garage, so that when I sell the house in a few years, the house will have more buyer appeal. At around seven thousand pounds, the 8.2 kWh battery mentioned in the article, would be within my price range, but I suspect that price will decrease.